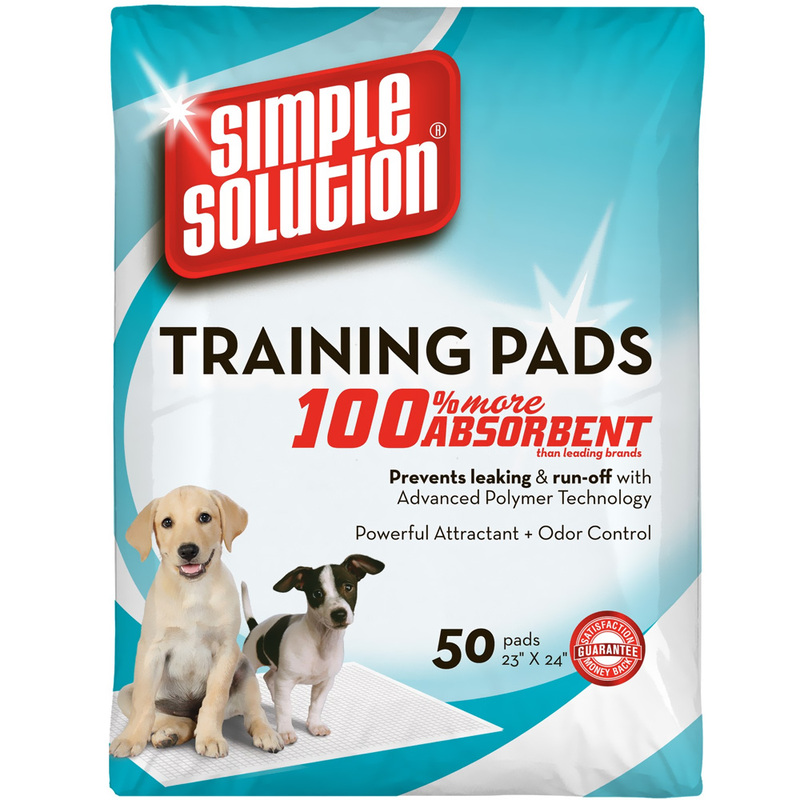 Simple Solution Training Pads are treated with a scientifically formulated scent to attract pets. Safe Shield antimicrobial product protection. Made with technology that converts liquid into gel and locks in moisture. They are excellent for house-breaking new puppies. Also used as an elimination area for ill or confined pets. Great for pet carriers. Durable and shed-resistant. Sealed on all four sides to prevent leakage. Plastic backing to protect floors. Great product. We have 2 small Yoks and this is the very best pads we have used. Once again best to them. 50 pack a great deal.